Stephen Dodgson, although not himself a guitarist, has provided the instrument with a substantial repertoire which has earned him a worldwide reputation. 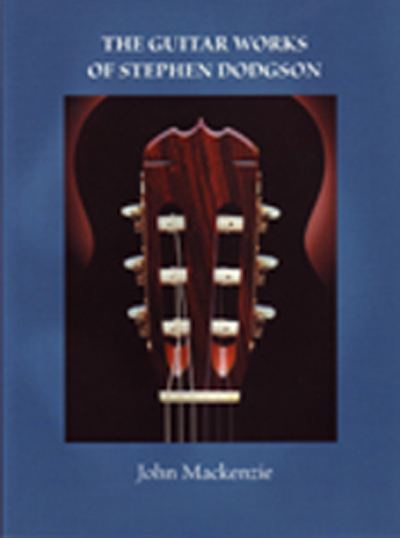 This book is the first comprehensive critical study of Stephen Dodgson's guitar music. Covering all the works written up until 2003 it provides detailed analysis of his compositional style, and his approach to writing for the guitar. John Mackenzie was born in York in 1950, and took up the guitar in 1959. He qualified as a Licentiate of the Guildhall School of Music and Drama as a guitar performer, and as a Licentiate of the Royal Academy of Music as a guitar teacher, and in 1971 was appointed senior tutor of the guitar at York Music Centre. He was elected a Fellow of Trinity College in 1976, and became a Fellow of London College of Music later the same year. In 1984 he was appointed guitar teacher at Ampleforth College, a Benedictine Monastery on the North Yorkshire Moors, from which base he continues to combine a file of teaching, recording and performing. A founder member of the York Guitar Quartet, he is a Yorkshire Arts Association "Musician in Residence".